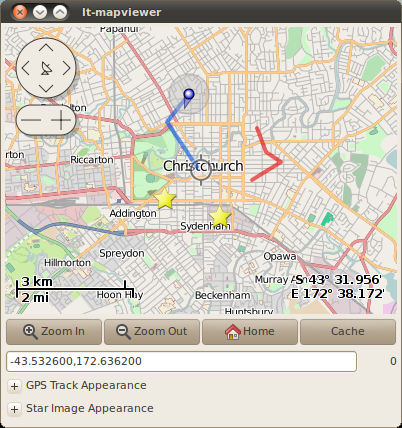 Johns Blog · articles tagged "gtk3"
I recently made a number of improvements to osm-gps-map, the easy to use mapping widget. The motivation for these came at the request of the foxtrotGPS developers (foxtrotGPS is a community developed fork of TangoGPS). These changes enhanced the API for adding images and tracks to the map, and in addition allowed me to clean up the basic API making it easier to use for the common case. But, there is more, especially relevant to Gtk+/GNOME 3.0.